Apple will launch at least three new iPhone models that following the styling cues of the new iPhone X. 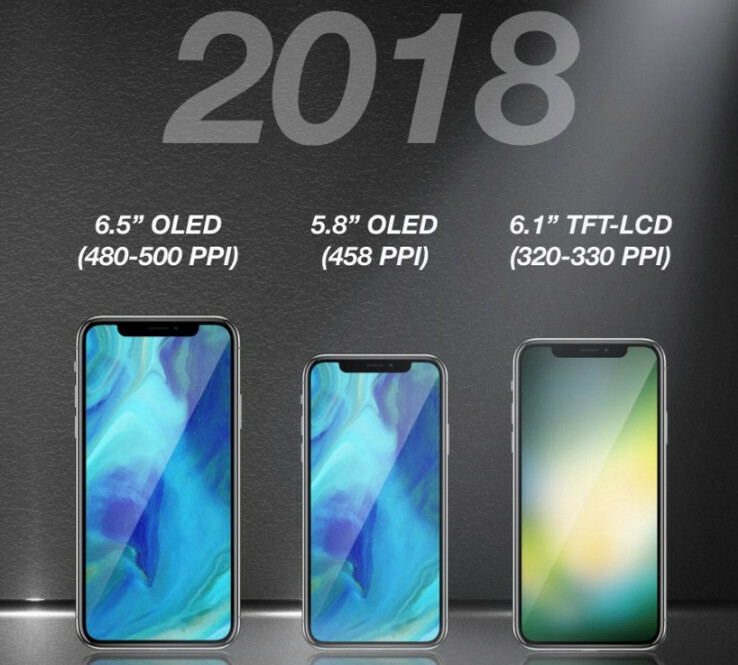 The first will be the direct successor to the iPhone X, with the same fundamental 5.8-inch AMOLED display and 458ppi pixel density. The second will be a “Plus” size model with a larger 6.5-inch AMOLED display with a 480-500ppi pixel density. The third will sit between the two flagship devices with a 6.1-inch LCD display, with a lower pixel density of 320-330ppi. The rumor comes courtesy of the latest report produced by the KGI Securities' Apple expert, Ming-Chi Kuo. According to Kuo, the devices will all feature the iPhone X’s signature display cut out (or “notch”), which will house Apple’s Face ID TrueDepth camera technology. This will also mean that none of the models will feature Touch ID, as like the iPhone X, the front of the device is predominantly display. While the two AMOLED models will be targeted at the high-end market, the 6.1-inch LCD model will start at an estimated US$649-749 price range, putting it in the price bracket currently occupied by the iPhone 8. This new 6.1-inch model could pick up the iPhone 9 model designation, helping to boost its appeal. In this scenario, the iPhone 8 or 8 Plus may not get an “s” sequel, but drop down the range to sit beneath the newer designs.